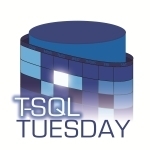 This month’s T-SQL Tuesday (the 54th!) is brought to us by Boris Hristov (@BorisHristov), and he’s asking us to write about interviews and hiring. I think many of us have at least one tale of an interview or interaction with a recruiter that’s gone good, bad, or ugly. I know I’ve got plenty of them, two of which I’ve shared before. This time, I have a story of an interview that went well, but with an epilogue that completely threw me for a loop. A while back I was contacted by “Shirley” (not their real name), a DBA at a company that had an opening for a Senior SQL Server DBA. They were wondering if I would be interested in applying, and sent a job description that was fairly vague, but with the potential to be something interesting. While perfectly happy in my current position, it never hurts to see what other opportunities are out there. I submitted my resume and was quickly granted an interview. At the interview I talked to a few different people and got a much better idea of what they were looking for than the job description provided. I also spoke with Shirley and of course got that tour of the office where I saw the kitchen and the room with the Xbox and foosball table. After the tour, I did the standard wrap-up with human resources where they ask things like “tell me about a time where you had to work with others towards a common goal” or “what would you say is your biggest flaw?” They asked what my current salary was. They did not ask what my salary expectations were, but that’s ok because I probably wouldn’t have told them anyway. I tend to answer that question with a statement like “an increase based on my experience and the value I and my skills would bring to your company.” That was pretty much the end of the interview. My opinion at this point was that I wasn’t particularly impressed by the position, but the right amount of money might persuade me (but probably not). Fast forward a few days, and I got a call extending me an offer. As is my standard practice, I never accept an offer immediately. I always give myself at least one night to think about it and confer with my wife. I considered this offer to be a non-starter: the position didn’t excite me and the pay wasn’t compelling. They offered me more than my current salary, but only a tiny bit more (less than 1%). In some circumstances I might have taken it, after all there’s way more to a job than the pay. But this place totally wasn’t worth it. Having slept on it and talked it over with Michelle, I called their HR manager back and declined the offer. I thanked them for their time, their consideration, and for extending the offer to me, but said I am happier staying where I am at this point. HR was equally polite, thanked me for getting back to them, and wished me well. I’m sure in the back of their mind they weren’t quite so happy because it’s their job to fill positions and now they had to find someone else to offer it to, but (in my mind) a HR professional will never let that show. A job offer is just that, an offer, and the person it is extended to is under no obligation to accept. First of all, the “salary bump” comment was totally unfounded, but even if that were the case, it’s none of Shirley’s business. Second (and more importantly), as an interviewer, I would never ever contact a candidate for any reason, especially in a negative tone like that. I consider communication with candidates outside of the interview room to be completely within the domain of human resources. I wanted so badly to be the bigger person and just brush it off, but a few hours later I was still taken aback by tone of that email. I forwarded it back to Shirley’s HR and told them I was very sorry Shirley felt the need to send that to me, as their remarks did a rather poor job of representing the company. I added that if that’s the kind of person Shirley is, then I’m very glad I won’t be working with them. HR replied and thanked me for bringing it to their attention. The end. As wrong as Shirley’s email to me was, they did make a valid point. I certainly could have negotiated and probably would have gotten closer to my desired salary. But I wasn’t interested enough in the job to do so. If you’re not interested in taking a job at any price, there’s nothing to negotiate. Not to mention if you ask for $x and they got the approval to raise the offer to that amount, it would be really unprofessional to say no at that point. As an interviewer, whether individually or as part of a team, you are the face of your employer. In addition to vetting candidates and trying to determine if they would be successful in a position, it’s your job to portray your workplace in the best possible light. If you can’t do that, you probably shouldn’t be taking part in interviews. Wow, that’s extremely unprofessional. Did you give any indication that you were happy or unhappy with your current job? I’m wondering if there was some comment to lead them this way, or if they just assumed that. If it’s the latter, I’d suspect Shirley had done this herself, or had seen it done before. I’ve seen people do this, trying to determine their worth because it can be hard to determine your value. We hide salaries so well, without disclosing or discussing things. I certainly wish we were more open. I’ve done what you’ve done, Bob, taking a chance on an interview because I am willing to consider things. I do let them know why I prefer my existing position over theirs, and it’s not always gone well when I tell them I don’t like their company or position. I have given interviews to folks who were obviously just trying for a salary bump at their jobs, but I have never heard a story like that – crazy! I have too, Andy. Totally not what I was trying to do there.